Meeting with Armenian Ambassador to Lebanon His Excellency Eric Ohannessian with the accompany of Deputies Hagop Kassarjian, Atef Majdalani. for the Occasion of Armenian Independence Day. From left to right: Sovereign Grand Commander Joseph Abou Zahra, His Excellency The Armenian Ambassador to Lebanon Mr. Eric Ohannessian , Deputy Hagop Kassarjian, Bishop Kegham Khatcherian, Minister Sebouh Hovnanian, and Minister Michel Semaha. The Sovereign Grand Commander welcoming his Excellency Mr. Eric Ohannessian and his wife to a special dinner party held on his honor. 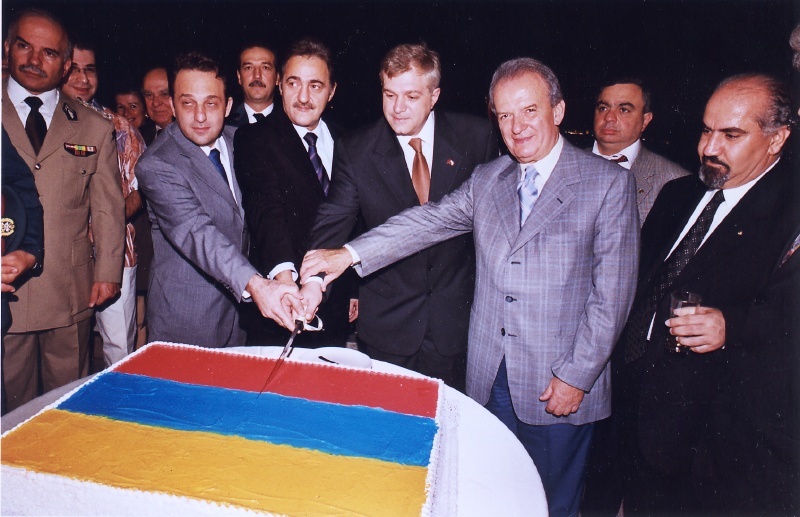 From left to right: Deputy Serge Tor Sarkissian, Minister Sebouh Hovnanian, His Excellency The Armenian Ambassador to Lebanon Mr. Eric Ohannessian , Minister Marwan Hamadeh, Sovereign Grand Commander Joseph Abou Zahra. 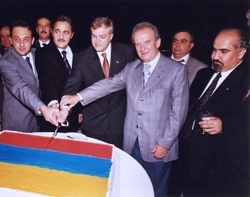 From left to right: Minister Ali Al Khalil, Deputy Jamal Esmail, and Brothers of Orient De Canaan on the Occasion of Armenian Independence Day. 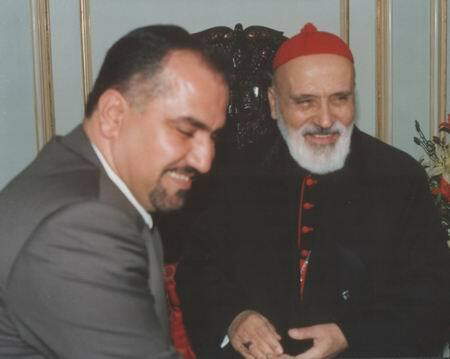 Meeting between the Prime Minister Elie Al-Ferezly and Sovereign Grand Commander Joseph Abou Zahra, with Brothers Salem Dacack and Ardashes Simonian. From left to right: Brother Housam Hamza, Brother Ardsashes Simonian, Deputy Serge Tor Sarkissian, Sovereign Grand Commander Joseph Abou Zahra and Brother Sarkis Kousayian on the Occasion of 85th year of the Ramgavar Party Headed by Deputy Hagop Kassarjian.